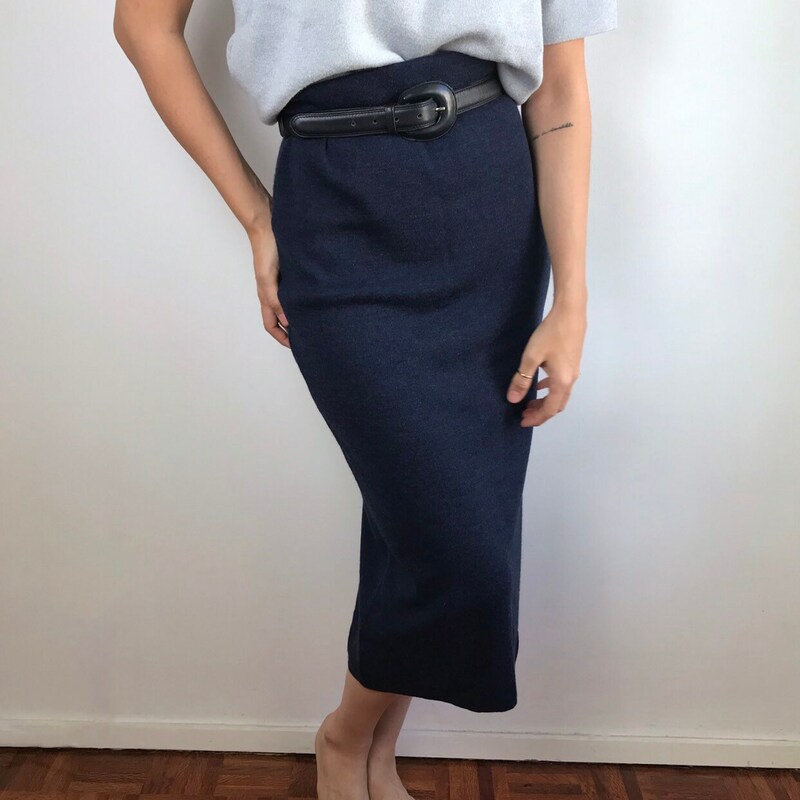 ‘90s vintage shades of blue knit set with high waisted skirt. Size on label XL. Will fit S/XL depending on how it’s styled. 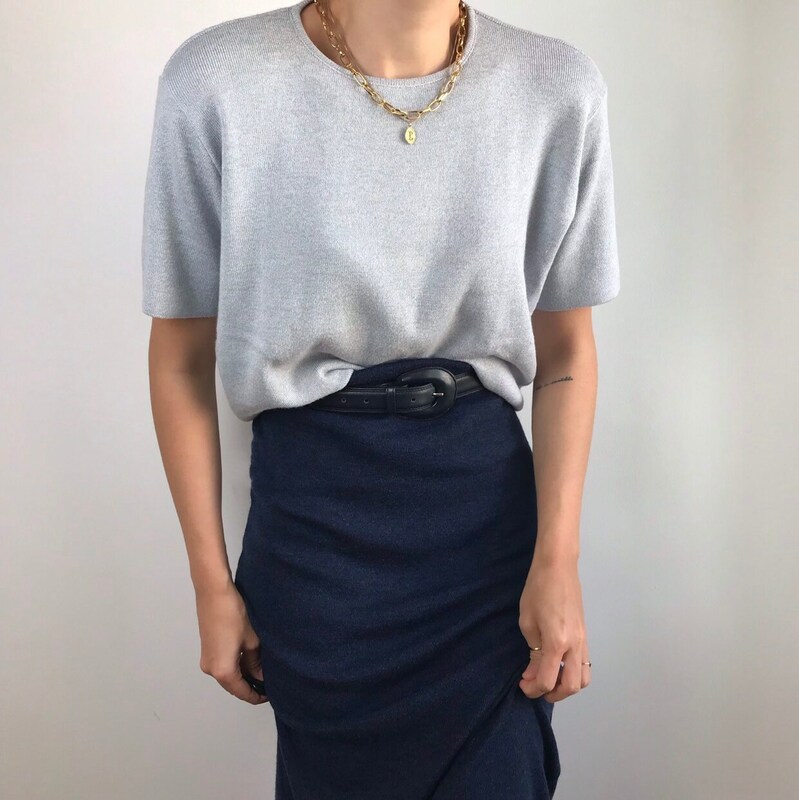 Skirt waist size 28”/30” due to elastic waist band.Shown on a size S model on the pictures, skirt synched with waist belt. Please check detailed measurements below.